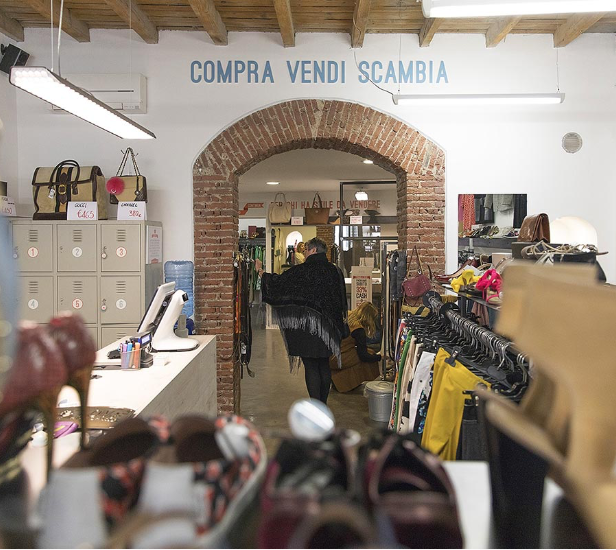 BIVIO buys its merchandise directly from its clients — private individuals who come into our stores to sell the clothes and accessories that they no longer wear, or that they’ve never worn at all. With its unique “resale” formula, BIVIO acquires its inventory from private sellers, who book appointments to bring in their seasonally-appropriate BIVIO’s buyers select and price the items pieces we are interested in. Once the total price of all the items are added up, we offer to pay – immediately – one third of the value in cash, or one half of the value in store credit, valid for one year in all of our locations. BIVIO buys and sells quality, “pre-owned” clothing and accessories, for men and women, that are in season and in style. Because we pay in advance, we are quite selective as to what we buy, choosing only what we believe BIVIO shoppers are looking for. We always buy for the current season, with a bit of a head start on the calendar. Ask yourself: can this be worn in the next 6 weeks? In other words, no linen in October and no wool in June. Check your items carefully, because our buyers will! We cannot buy pieces with rips, stains, holes, missing buttons, broken zippers, worn-out soles or unpleasant odors. Is it from a Fast Fashion label? We know that low-cost fashion is very popular, but there isn’t much demand for fast-fashion in the second-hand market, so we discourage you from bringing it in. Sappiam che il “fast fashion” (H&M, Zara, Benetton ecc…) abbia la sua utilità, ma quando si tratta di seconda mano, i marchi di larga diffusione non sono particolarmente desiderabili: il mercato è già pieno! In order to help you select what to bring in, we’ve created a wishlist of styles that we are currently looking for.